Are you tired of searching the shelves of your local library or bookstore for fiction that isn’t full of unnecessary and excessive profanity, sexual content that goes waaaay beyond a kiss, unhealthy relationships, and other inappropriate content? If you raised your hand, then welcome to the #countercultureliterarymovement! Back in July, fellow writer Michaela Bush (from Tangled Up In Writing) and I were having a conversation and in response to something I’d said about writing female characters, she said we should start a literary counter-culture movement. It was mentioned again a few more times in further conversations and now, two months later, the movement is being kicked off! The purpose of the movement is to promote fiction that’s free from the unnecessary and excessive profanity, sexual content, and unhealthy relationships that dominate the shelves of our libraries and bookstores. 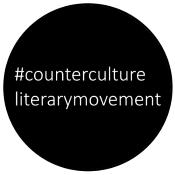 If you’d like to join, just jump in with the hashtag #countercultureliterarymovement on FB, Twitter, Pinterest, and any other social media platform you can think of!